The deadline to pay 2012 taxes before they reach maturity is quickly approaching. Delinquent taxes will mature to the Purchaser on August 26, 2015. The amount due will continue to increase until August 26 with interest and penalties added monthly. Please contact Julie Cunningham, Winston County Chancery Clerk, at 662-773-3631 for tax amounts due. 2013 taxes are also payable in the Chancery Clerk’s office. 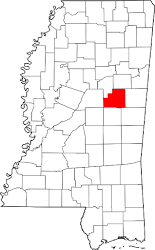 The Delinquent Property list will be publicized in the Winston County Journal on June 24 and July 1, 2015. Cash or Certified checks will be accepted. No personal checks will be accepted during the month of July and August.